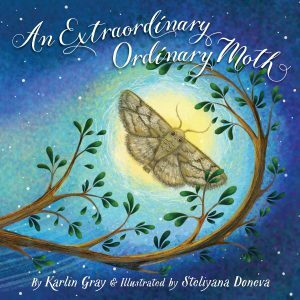 A new children’s book by Connecticut author Karlin Gray echoes what avid moth-ers have always known: There are no “ordinary” moths; each one is special in its own way. Told in rhyme, An Extraordinary Ordinary Moth is about “a dusty, grayish, dull insect” who feels he is “nothing special” when compared with more colorful and exotic lepidoptera like luna moths, hummingbird moths or the giant atlas moth, not to mention butterflies. But once a little boy shows his joy upon finding the ordinary moth flying around a light and convinces his sister how special it is with its camouflage and protective scales, the little moth finally feel special too. Bulgarian artist Steliyana Doneva has illustrated the book with fanciful images, giving the moths anthropomorphic qualities, while staying true to their physical appearance. 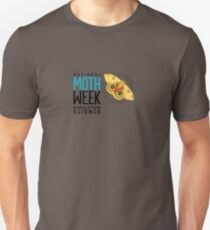 The “extraordinary ordinary moth” of the book is in the Geometridae family, which happens to be this year’s spotlighted moth family for National Moth Week. Karlin says she was inspired to write the book when her son, then 3 or 4 years old, “declared the moth was his favorite insect. 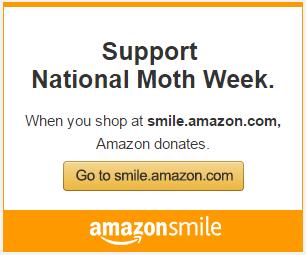 “ Her research led her to National Moth Week’s website, which she has included in the list of “extraordinary facts about moths” on the last two pages of the book. The family now observes moths right from their porch. “Our front porch light seems to be a favorite hot spot for the neighborhood moths. Some even sneak into our house,” Karlin says. She will be reading An Extraordinary Ordinary Moth to campers at her local nature center, Earthplace, in Westport, CT, on July 24. Karlin also is the author of Nadia: The Girl Who Couldn’t Sit Still, about the Olympic gymnast Nadia Comaneci, and Serena: The Littlest Sister, about Serena Williams. An Extraordinary Ordinary Moth is published by Sleeping Bear Press. It is available on amazon.com and in bookstores around the country.